Bugibba is a peaceful, Maltese holiday resort where you can get away from the frenzied life of bigger cities. You can visit this tiny vacation hub and book a room overlooking the sea as your headquarters for an energizing and mood-boosting sabbatical in Malta. 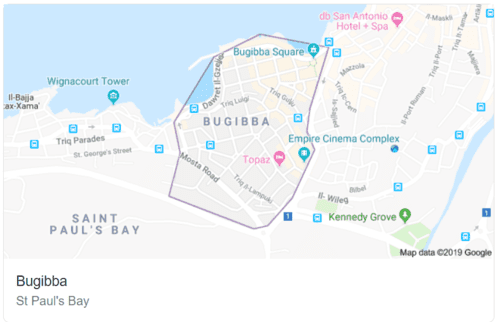 What and where is Bugibba? Few people know about Bugibba before traveling to Malta. This small resort is part of the St. Paul’s Bay region on the northern coast of the island. Many tourists rent a room at one of the many hotels in the area all year-round, but not many of them are aware of the actual name of where they are staying. Even tourist guides refer to Bugibba differently. Some name it a village, others a zone, and some call it the northern district of St. Paul’s Bay. Whichever that may be, if you are anywhere between the salt pans of Qawra and the Gillieru Harbor, there is a good chance that you are in Bugibba. Malta is a spectacular tourist destination that abounds in sightseeing attractions. Between historical landmarks and entertainment options, there is very little time or room to get bored on the island. However, most of these places tend to be overcrowded with visitors, and if you are struggling with anxiety and agoraphobia, you might want to avoid them. 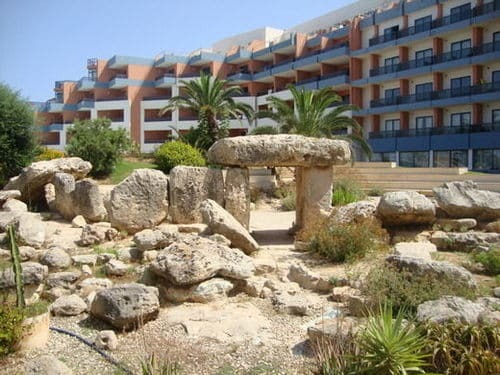 Bugibba is a much better and safer choice for spending a relaxing holiday in Malta. This peaceful resort offers all the amenities of larger vacation spots, but with less agitation and fewer visitors. Most of the tourists that decide to set up camp here are the opposite of heavy partygoers. If you want to keep your leisure time at a slow pace and rhythm, you will find like-minded people in this area. Bugibba has served as a human settlement ever since the 4th millennia BC, and a small stone temple from that era still survives to this day. You can visit the archaic relic that is now on the premises of a hotel, as well as the remains of a military battery that the Order of St. John built here in 1715. The present-day resort of Bugibba and the surrounding region served small communities of fishermen and farmers for centuries until the middle of the 20th century when it gradually developed into a touristic zone. Why is Bugibba so popular? Bugibba offers great accommodation options at one of the many prestigious hotels in the area. The region also abounds in restaurants that serve anything from local cuisine to fine dining and bars where you can taste some of the local beer and the renowned Maltese wines. There are several bus routes that you can use to get to almost any place on the island. It takes little over an hour to reach the airport and just 45 minutes to arrive in Valletta. The sandy beaches of Golden Bay and Ghajn Tuffieha are also close by, and it would take you less than 15 minutes by car from your hotel in Bugibba. 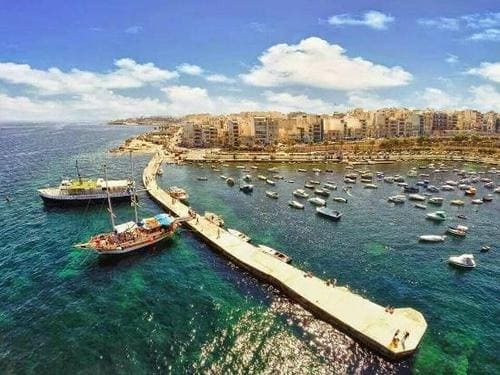 Probably the biggest attraction in Buggiba is the seaside promenade that stretches for 3.5km between Qawra and St. Paul’s Bay. This gorgeous waterfront is ideal for evening walks or morning jogging. If you are traveling with your dog, then this waterfront should provide both of you with the necessary dose of roaming and exercise. Just off the shore of Bugibba, you can see a small patch of land called St. Paul's Island. According to the local legends and Christian folklore, this is the place where St. Paul shipwrecked in the middle of the 1st century AD before beginning to preach Christianity to the locals. You can book a boat tour from the nearby harbor and visit the tiny island on a trip that should not last more than a couple of hours. Even if you don’t want to sail to St. Paul’s Island, the Buggiba Harbor is still worth a visit. The small marina shelters numerous fishing boats that bear colorfully painted Maltese symbols and patterns. They give a nice touch of authenticity to an otherwise international touristic resort. If you don’t want to go to the nearby sandy beaches of Golden Bay and Mellieha, you can still get a nice tan on the rocky beaches of Bugibba. The sunbathing area is small, but it has several inlets that offer easy access to crystal-clear water. The rocky coastline of Bugibba offers several rock-diving places where you can take a safe plunge into the neon-blue waters of the Mediterranean Sea. Look for popular diving spots or ask the locals which ones are the best in the area. Buggiba Square is packed with local shops and retail stores from famous brands. If you want to pick up a souvenir to take back home or just to upgrade your wardrobe this is the place to be. Bugibba is a popular holiday spot for British tourists who unsurprisingly have a burning passion for football. If you share their infatuation with the most popular sport in the world, you can watch your favorite team play in one of the many sports pubs in Buggiba. Living in Bugibba comes with all the perks of staying in a top seaside resort. The area benefits from an excellent infrastructure. 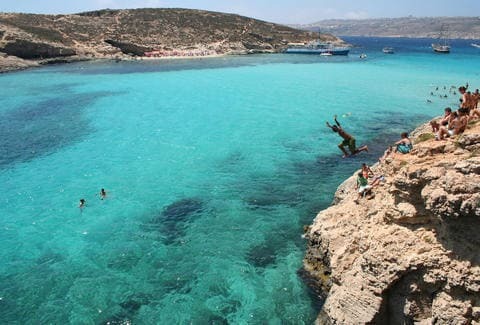 It is perfectly located between the best beaches in Malta and the top touristic areas. Also, it abounds in shopping centers, retail stores and recreational areas. 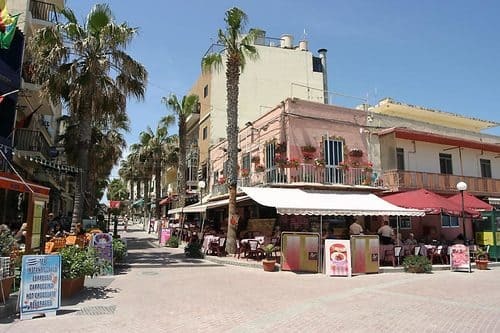 Many tourists visit this place and choose to move here or at least to buy a summer residence. Some of the elderly visitors see it as the perfect area to retire to once they finish working. Settling down in Bugibba is choosing to live your golden years in a warm, embracing Maltese community. 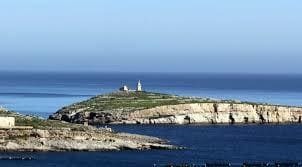 If you are interested in living in Malta, we suggest you read more about the different disctricts of Malta.